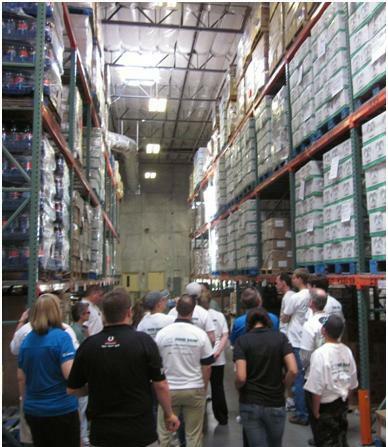 On Saturday, May 18, TransSolutions and Vanderlande Industries welcomed nearly 60 volunteers who joined them to assist the Food Bank of Northern Nevada. Over two shifts, volunteers sorted canned goods and other non-perishable items for distribution to families in need throughout Nevada. For people living in poverty, empty cupboards and refrigerators are a part of everyday life – but with the help of the Food Bank of Nevada and their numerous volunteers, they find on-going support and assistance to provide food for their families. The volunteer event was held one day prior to the 85th Annual American Association of Airport Executives (AAAE) Conference & Exhibition. This was the sixth consecutive year that TransSolutions has co-sponsored a volunteer event in conjunction with AAAE, which started in New Orleans at the 2008 annual conference. “It’s always fun to spend time with other aviation and airport professionals while also being able to help support the local community,” says Belinda Hargrove, TransSolutions’ co-owner and Managing Principal. 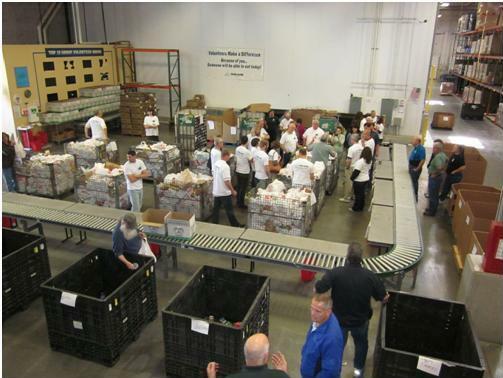 The Food Bank of Northern Nevada, founded in 1982, is a regional food distribution and support systems for more than 130 direct services, non-profit agencies serving the needy, the ill, the elderly, and children. 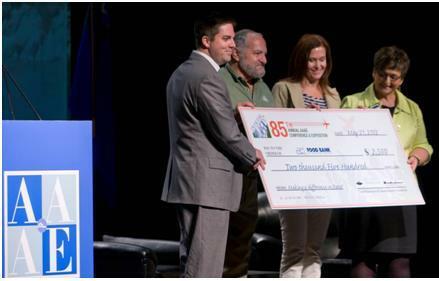 It was named Feeding America’s 2013-2014 Food Bank of the Year for their innovations in taking care of people in the region. The award is given to the year’s most outstanding food bank of the 202 food banks across the nation in the Feeding America network.